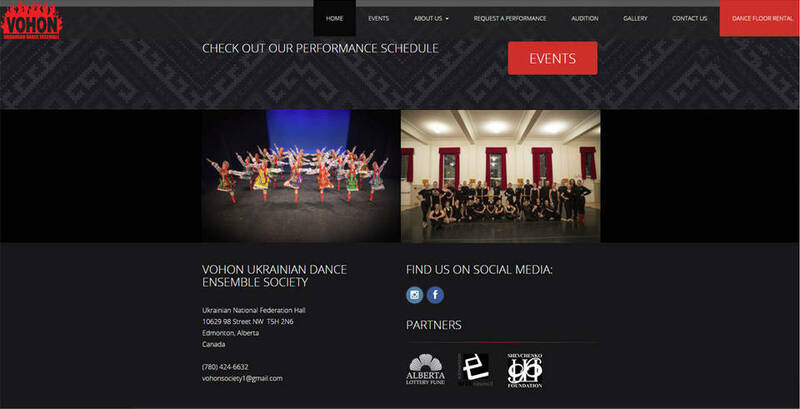 Vohon Dance Company came to INM with an outdated website and a wish-list of new ideas. Their old site was static, unengaging and lacked proper galleries with which to show off their gifted students. 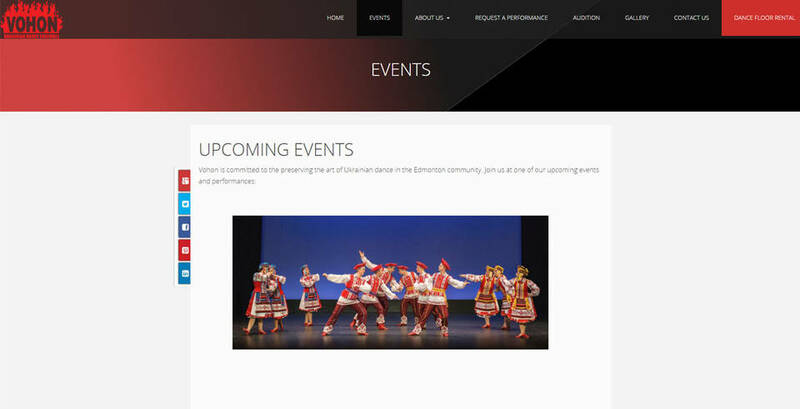 After consulting with INM's highly skilled development team to get a grasp of Vohon's vision for their web presence, we went to work and built this stylish, colourful, expression of the Ukrainian dance ensemble's performance artistry. 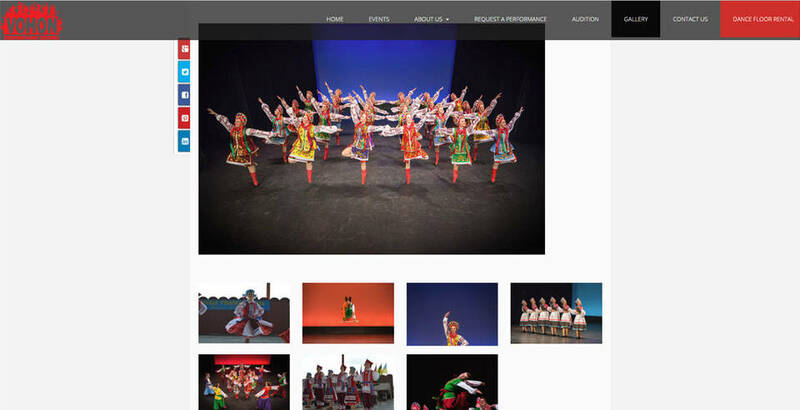 Included in the redesign was a powerful, above-the-fold, lead capture tool, troupe booking and student intake forms. With the training provided by INM in their exclusive Sitebuilder Tools website management system, Vohon representatives were taught how to keep their cyberspace public image dynamic, exciting and search engine optimized. Multiple contact pages with individual forms for hiring the group, auditioning with them and contacting them for other reasons.